Spacedesk is a free (for non-commercial use) software which can expand your Windows desktop computer screen to other devices over the local area network, such as WiFi.Your primary desktop screen need to be Windows based but the secondary screen can be any operating system that supports a modern web browser, that includes Windows PC & Laptop, Mac, iPad, iPhone, Windows phone, Android tablet and Android phone. 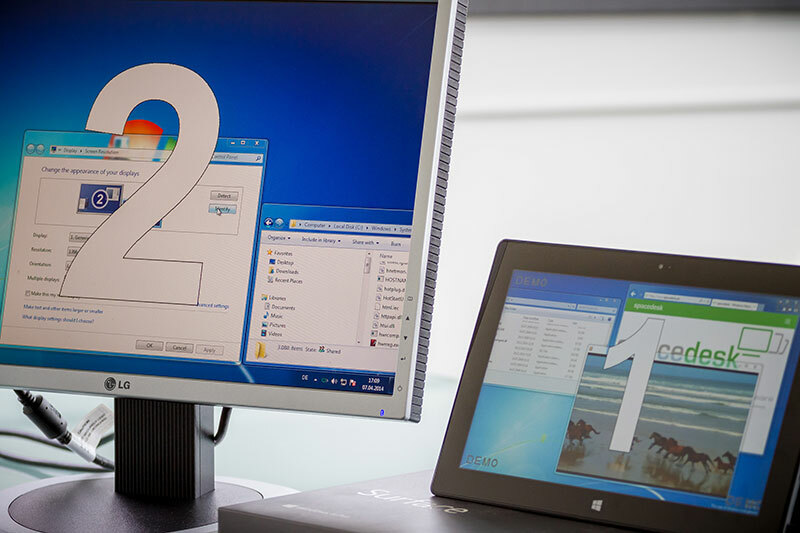 You just install a server software on your Windows and can connect from the device you wish to use as your secondary screen by the installed Windows client software or directly from your web browser based on HTML5 without installing anything. It is a very good free alternative to the paid software iDsiplay, and is a good complementary software to ShareMouse and TeamViewer, as both of which are used with multiple devices but neither offer extended screen function.